Dhobi Ghat is a well known open air laundromat in Mumbai, India. 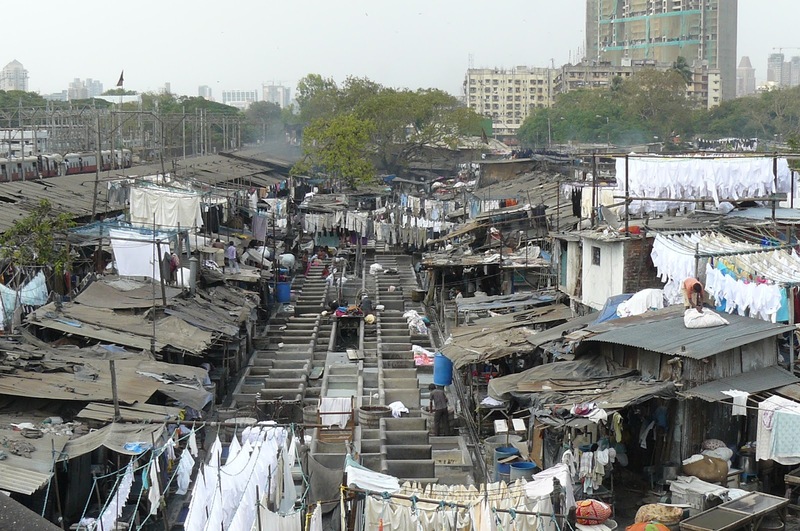 The washers, locally known as Dhobis, work in the open to wash the clothes from Mumbai's hotels and hospitals. 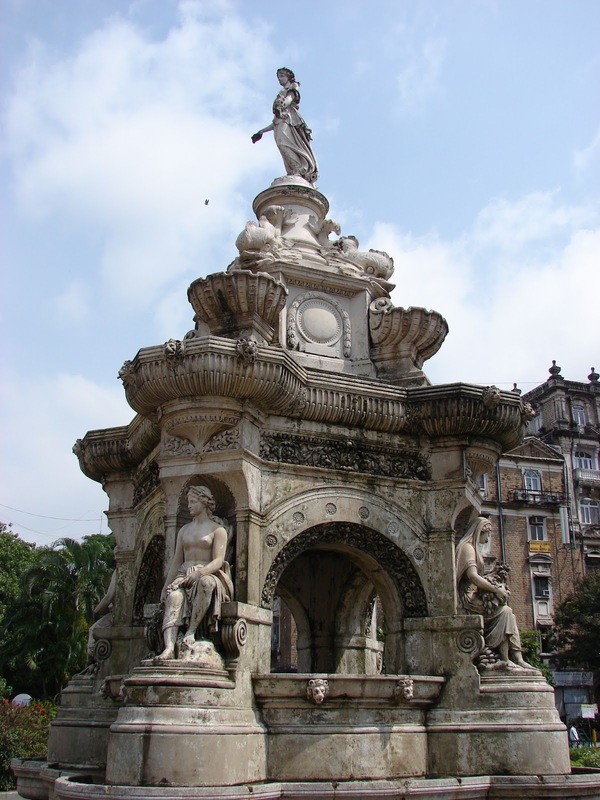 There are rows of open-air concrete wash pens, each fitted with its own flogging stone. 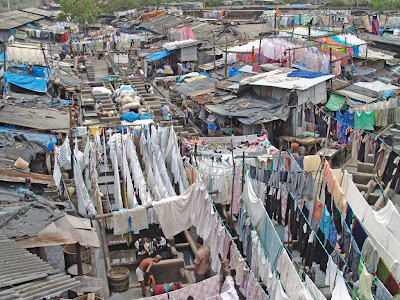 Called the world's largest outdoor laundry, Dhobi Ghat is a very popular attraction among foreign tourists.The word Dhobi Ghat is used all over India to refer to any place where many washers are present.It is located next to Mahalaxmi railway station on the Western Railway's Saat Rasta roundabout. It can be easily seen from flyover bridge of Mahalaxmi station.